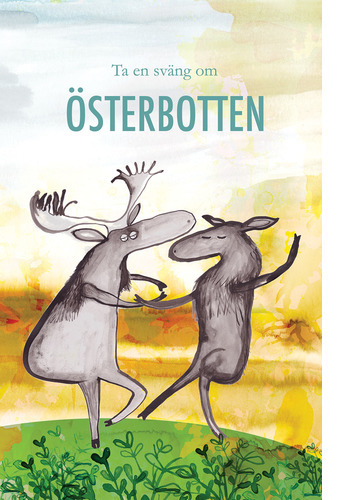 Finalist in the ”Come to Ostrobothnia” poster contest, 2016! My home is in a small Ostrobothian village from where I took the inspiration for my Come to Finland poster. Dancing the tango into the small hours on a magic summer night is a common occurrence, and if you are lucky you might come across some elks standing about. I imagined the elks having a good time dancing too, that’s how the image of the swinging elks came about. 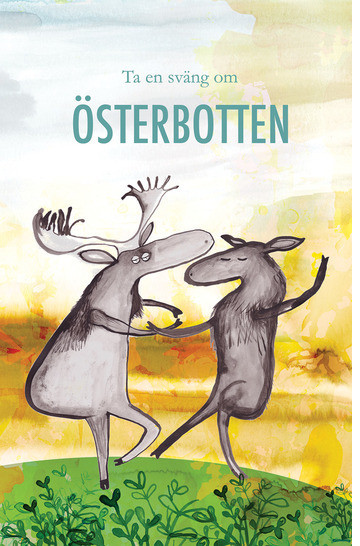 ‘Swing by Ostrobothnia’, it’s a magical place! Surely travel posters can’t simply remain a cry from the past? Absolutely not. We live in a completely visual world where the picture is stronger than ever. That’s why the following question hit us: How would contemporary artists depict Finland of today? We could not let that thought go, so since 2016 we continuously arrange international travel poster contests and we’ve also asked specific graphic designers and artists to create new Finnish travel posters for us. So now Finland once again attracts travellers with glamour and cries of joy from paradise. With the help of the travel poster!